As the longest government shutdown in U.S. history enters its second month, my colleagues and I in the House of Representatives continue to pass legislation to restore critical services for the American people and paychecks for hundreds of thousands of public service workers. Despite more than nine different votes in the House to end this manufactured crisis, the White House and Senate continue to block votes or any restorative action until the President's demand for billions of taxpayer dollars for his border wall is met. 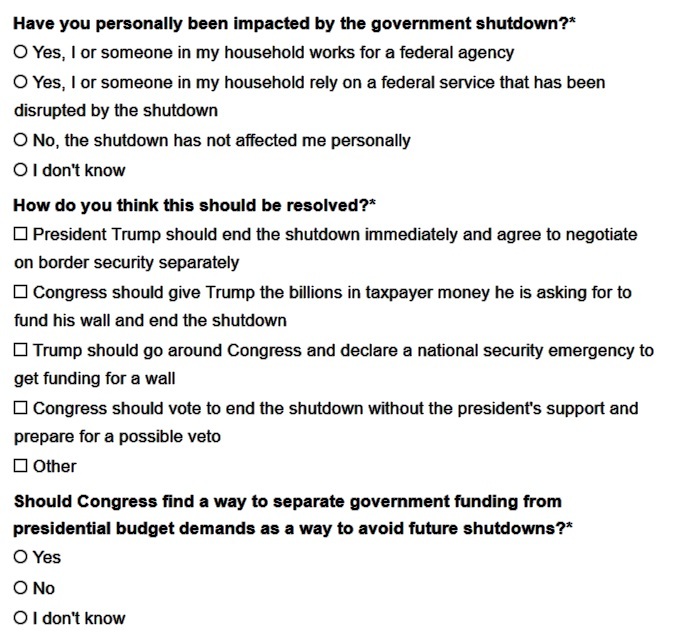 With no end in sight and hardship growing for many Capital Region workers and their families, I am sending out this survey to learn more about how the shutdown is impacting you, my constituents in New York's 20th Congressional District. What do you think?